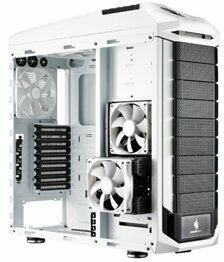 Cooler Master reveals the CM Storm Stryker, a new white full-tower case. The CM Storm Stryker has a MSRP of 159.95EUR and will be available in retail stores from mid-July. Venlo, the Netherlands – 19 June 2012 – Today CM Storm, Cooler Master’s gaming brand, releases a new full tower case which is based on the highly popular CM Strom Trooper: The Stryker. Built to be amongst the most agile full-towers, Stryker becomes the second in its class to include an ultra-strong carrying handle; allowing a gamer to travel with the finest system configurations available with relative ease. 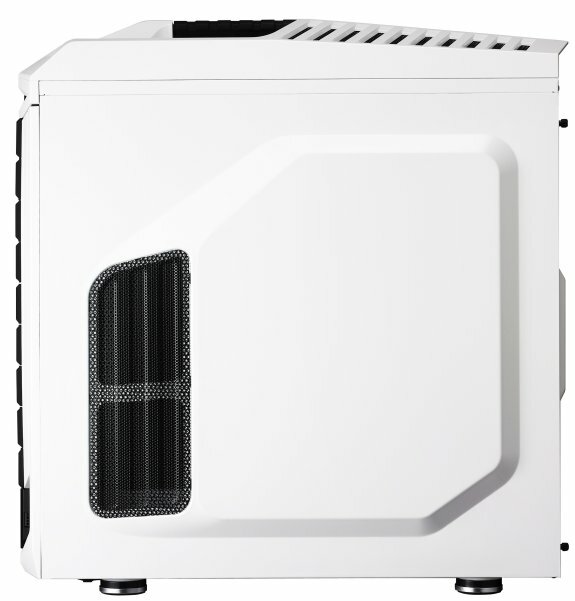 CM Storm Stryker includes the features that are most desired by gamers like a windowed side panel, full dust filter coverage, a fan controller, an external SSD drive hot-swap dock and two uniquely designed modular hard drive cages and this in a full, stylish white color. Things heat up as gaming becomes more intense. The included front panel connections and controls provide a user with the ability to make on-the-fly changes to fan speed and case LEDs while USB 3.0 and 2.0 ports, and audio connections are also provided as an added means of convenience. This is topped off by a 2.5” HDD/SSD X-dock that makes mounting extra drives as easy as loading a Blu-ray/DVD. 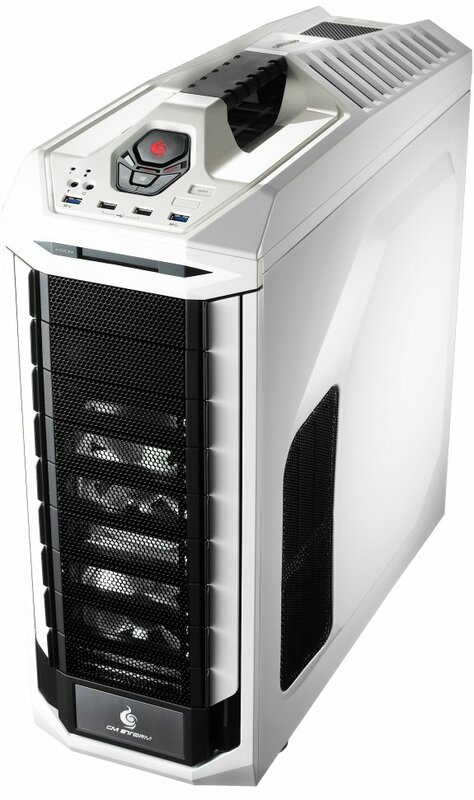 CM Storm Stryker contains two modular HDD cages which can hold 4 HDDs and a 120mm fan for cooling each. These modular units can be rotated, front to back, side to side or removed altogether. It follows its sibling, Trooper, in that it allows fully modular hard drive configuration with no modification required. In addition, this case can support multiple water cooling radiators. It is even possible to creatively mount a vertical water-cooling radiator with the removal of the hard drive cages and panels. CM Storm Stryker has nine expansion slots providing support for multi-GPUs in SLI or Crossfire, space for up to 14 hard drives, and a motherboard tray that supports up to XL-ATX. The Stryker is an ideal mobile arsenal to house and transport the most advanced system and cooling setups. A professional cable management look is possible by utilizing the myriad cable tie zones and cable management holes available in the CM Storm Stryker. Smarter and larger placements of these areas allow for efficiently routing cables directly to their intended destinations. In an effort to reduce installation times, many types of hardware can be mounted tool-free via the use of the included locking mechanisms or trays. CM Storm Stryker side panels have been greatly improved to provide an increased area for different cable management possibilities. A hidden compartment in the front of the case will keep your possessions hidden so nothing can happen to them.